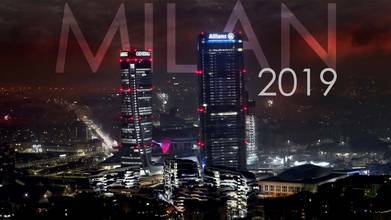 Hundreds of fireworks; ringing in the New Year in Milan looks like quite the spectacle in this aerial video by electriclife. The lit sky shows pops of the very old, distinctive architecture of ancient Italy contrasting against the new, glamorous, glass highrises. We encourage you to read the full description by electriclife to learn more about this gorgeous, historical city.